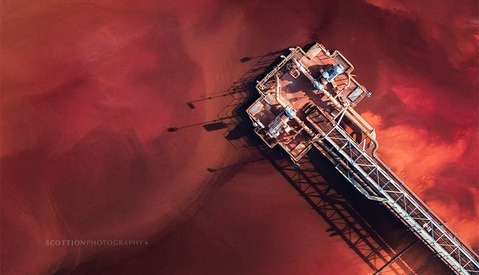 How do you make a photograph that sells for more than $100,000? 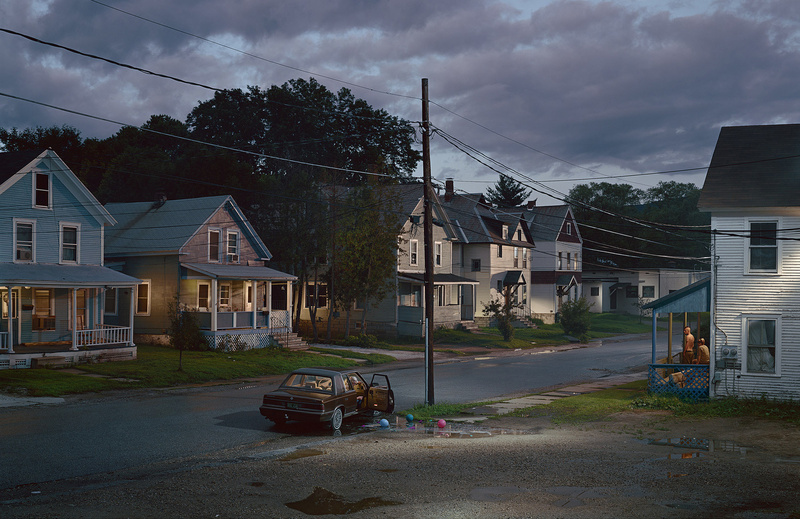 Gregory Crewdson may not have the answer, and I suspect he probably doesn’t care, but that is what his prints will routinely fetch, if not more. What is it that allows him to create such staggeringly powerful works of art, and what are the struggles he endures through the creative process? For those who might be unfamiliar with Gregory’s work, the simplest way to describe it is like a perfect, beautiful cinematic movie still, a single frame that provides no context to the narrative of what is going on, but rather leaves the viewer to decide what has, and is, unfolding in front of them. Shooting with large format, everything is largely in focus and critically, everything that is in the frame is absoluely there for a reason. Composition of subkject matter, and what is excluded, is a finely tuned mechanism, as each image is something that lives in Gregory's head. The final photograph is his means of trying to recreate what he sees in his mind's eye. Gregory's work and approach was featured in the fascinating 2012 documentary, Brief Encounters that focused largely on the creative process around his recent body of work, Beneath the Roses, images of which feature in this article. His work is absolutely uniquely his vision and style. 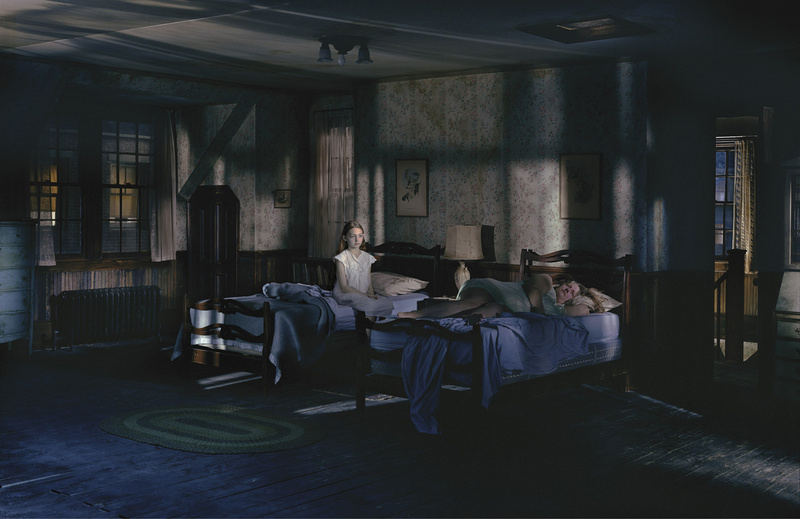 The cinematic lighting, large, detailed and open narrative "moments", are immediately recognizable as a "Crewdson". Gregory is making a unique appearance on October 15th in Los Angeles at the upcoming Stand Out Photographic Forum, where he will be talking about his incessant drive as an artist, where his vision comes from and where it’s taking him. Those who want to attend can use the code FSTOPPERS to attend the talks for free. This interview very much centered around his growth and development, his influneces and trying to explore the reasons why he is drawn to certain locations or concepts. As all of us try to develop our own eye, vision and style, I feel there is much we can all take away from him, as he wrestles with realizing his own visions. Fstoppers: Where do you think the photographic style you have originated from? Gregory: I feel like I'm aligned with a particular tradition of American art that finds a connection between ordinary life and theatricality. Artists of this tradition that I feel greatly influenced me are, among others, Edward Hopper, Walker Evans, Diane Arbus, William Eggleston, Steven Spielberg, David Lynch, and Raymond Carver. They all, in their own way, absorb the iconography of American life and reinvent it as their own. Fstoppers: You’ve mentioned that it’s more important for you to allow the viewer to project his or her own narrative onto your work. Why do you feel this is more important than anchoring a distinct message or context to the photograph? Gregory: For me the overall ambiguity of the narrative in my work is less of a conscious nod toward the viewer and more of an inherent trait of how it exists in my mind. I experience the pictures as one singular and fixed moment in time both in my imagination and in the picture itself. So it is inescapable that the pictures would be surrounded on all sides by ambiguity. There is no before, no after; and I offer no motivation or resolution. Fstoppers: When you’re location scouting and looking for a place that will hold the scene, what is it that determines that you’ve found the right place? Gregory: That is a really hard question to answer -- it is almost inarticulable for me. I do much of my location scouting driving around and around the same places. I get out and walk, often over and over the same landscapes. Something clicks at some point. What precipitates that moment of clarity is somewhat of a mystery to me -- though I will say that in some way the location has to feel both familiar and strange, and existing out of time. Once I find it, however, it then becomes fixed in my mind. The other pieces of the picture start revealing themselves to me. The next step is to develop the picture description and pull something that's sometimes very abstract and vague in my mind into real terms that my crew can work from. Fstoppers: What is it about the American small town, everyday life setting with subjects and a scenario that hint at something else, so compelling? Gregory: This is something that I guess speaks to my own experience of life and the American cultural landscape in general. I don't deliberately look for something dark or bleak or disconnected, in fact that's not something I'm even conscious of in the work as I'm making it. I'm always trying to create beauty, reveal hope, show the sense of longing that exists in isolation and loneliness, and capture the search for something greater inside all of my subjects. Fstoppers: Your images combine elements of exceptional detail that you control distinctly. Can you describe why it’s so important to get the details just so, but leave the message or context open? Gregory: To me, the memorable and powerful moments of life that we carry with us and remember and relive are not necessarily the greatest ones, but often the quietest ones. Those moments occur, frequently, in ordinary domestic settings, and the small details of those settings - the personal effects and particular clutter and debris that inhabit them are important. The way the light is in that moment is important. The visual focus is important. All these things weigh in on the emotional impact of that moment. It feels necessary, and absolutely crucial to me to at least try to get all these details right. Fstoppers: In Brief Encounters, you talk about a time where you were at a crisis or transitional point, where you couldn’t make the photographs you’d made previously. How do you deal with these transitional moments and turn them into a positive to allow yourself to move forward? Gregory: For me, each body of work has its own particular and compelling set of obsessions that has driven it, both thematically and visually. Between almost every one, there has been some sort of artistic crisis that then becomes resolved through the work. It's hard to generalize that, since each time the set of circumstances have been vastly different. It's how I move through my life as an artist and what drives me to keep creating new work. The basic act of creating a picture is terrifying, however there is no choice. Fstoppers: Where do you find your inspiration to create your images? I know you’ve mentioned specifically the importance of Blue Velvet, Edward Hopper and Orson Welles – are there perhaps some other sources you draw from too? Gregory: The artists you've listed were very impactful on me, and continue to be. My inspiration comes from a lot of places, though. I watch movies all the time, both old and new. I listen to podcasts both while I'm asleep and while I'm awake. I keep up with pop culture. I find inspiration in my own life and experiences. But I work out most of the ideas for pictures while I'm doing open water swims, which I do religiously every day -- when it's warm enough at least. In the cold months I cross country ski, run, and swim laps in pools. The repetitive and meditative nature of these activities transports me to some sort of mental spacer wherein my ideas can be processed, start to take shape and form, and make sense. Fstoppers: Are you able to share a little of your new body of work, Cathedral of the Pines, in terms of what we can expect and the motivation behind it? 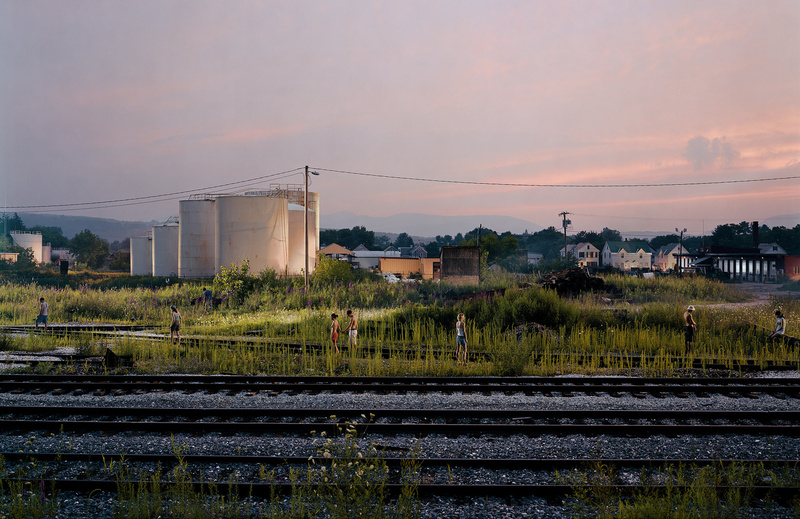 Gregory: The new work is very emblematic of previous work I've done with light and color and narrative form. 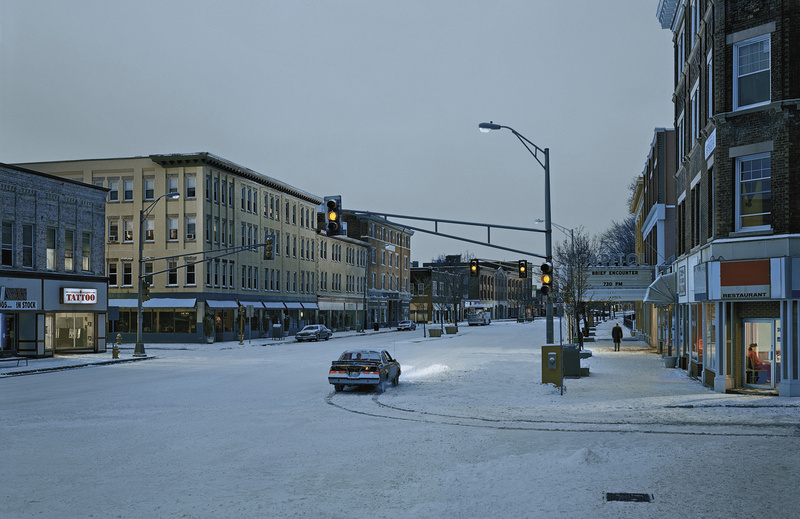 It's more intimate in some ways, however, very connected to nature and shot entirely on location in the town of Becket, Massachusetts, which is a place I have a deep personal connection with. Fstoppers: You’ve said, “Every artist has one central story to tell, the struggle is to tell and re-tell it over and over again and try to challenge that story. At the core, it remains the same.” As you move through your different bodies of work, do you begin to get a clearer view of what your own story might be? Gregory: Telling that story, wrestling with it, embracing it, and trying to decipher and analyze it is a journey, and each picture and body of work drives it a little further. The story is never quite clear to me; however, and that is what compels me to continue to struggle to tell it. Fstoppers: What do you hope other photographers and creatives might take away from your talk at the Stand Out Photographic Forum? Gregory: Photography is a technical medium, and that's a part of the problem. The struggle of being a photographer is trying to find a way to bypass the limitations and constraints of something very technical and convey what's inside us. I hope my talk will convey this. Special thanks to Gregory and his team and the Gagosian Gallery for their permission to use the images in this article. Hmmm... At once I respect Gregory's magnificent artistic/psychological integrity in his grand pieces... the sheer heart and soulful sweat that goes into each and every one; but at the same time I hunger for more resolution within the mysterrious mindscapes. I respect that there is art for art's sake and I certainly respect this work... but sometimes I simply crave more illumination on the long journey from mystery to clarity. the fact there isn't that clarity is probably the main reason his pieces are so fascinating. I have seen people stare at them, compelled. It's fascinating. He shares far more artistically with most painters than most photographers. I began to accept the images for what they are when i came to the realization they are actually his way of putting something down on paper that is essentially what he sees in his head. I don't actually even think he knows what the narrative is necessarily, and he certainly cares more about us coming to our own conclusions. If you haven't already seen it, can strongly recommend the doc i mentioned in the article, gives some great insight into his mind and his work. He need not title his work or lay it bare with words. It stands alone without him. I'll be at the LA event! 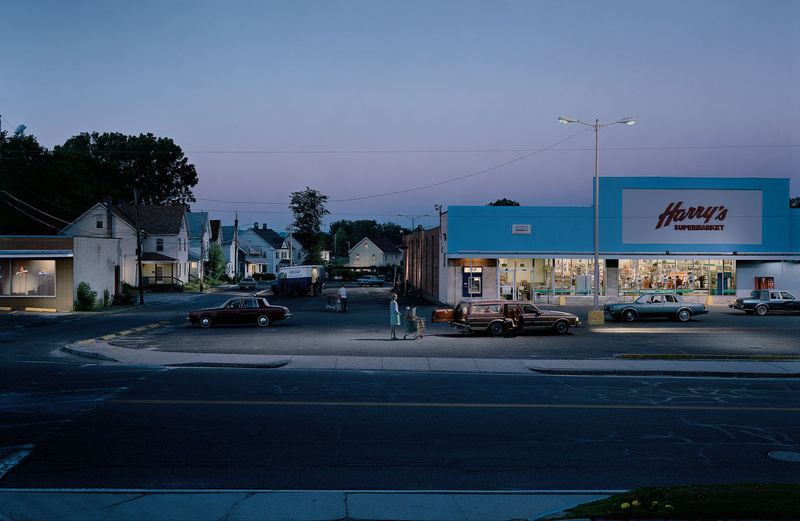 Crewdson is by far my favorite photographer. His work is beautiful. I'm glad this article is on here. I can't wait for the LA event, too! Love Gregory's work for a long while now! I recently watched his documentary film "Brief Encounter" and was very intrigued by his approach. "Get it right in camera" for me has a new meaning now. He does compositing too, but only as a very last resort. If he can, he does it all on the set with his large format camera and huge cinema lights. I also appreciate that his workflow is targeted towards large format prints, which enables the viewer to explore the photo and grow with it. I'd be hesitant to have the main subjects in a photo that small within the frame. But with these large prints it perfectly makes sense. These pictures are insanely cinematic. You want to live in them for a short while and poke around the various parts..even beyond what is the main subject. 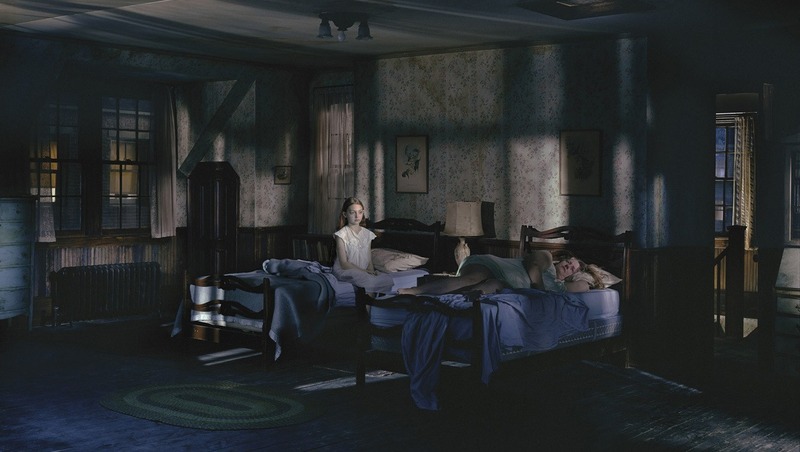 I can't even begin to express what Gregory Crewdson's work means to me. 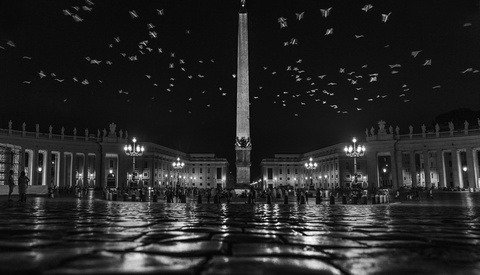 It is utterly beguiling and leaves me breathless, uneasy, dazzled and hungry for more every time I encounter his work. I think I've watched every video there is about him online, as well as watched his film, and am dying to see a large scale exhibition of his pieces. I rarely look at photography, I am more inspired by painting and cinematography ... but really this is what his work embodies for me. I love the fact his work isn't 'resolved' in the sense you understand what it is about, it is that perfect moment, where you are clueless as to what happened before and what will happen afterwards, it is genius . I've been offered an invitation to hear Gregory speak at a private Nikon lecture in Amsterdam next month and I'm going to fly there just to hear him.... I honestly don't think there is anyone else I find so fascinating in art. Reading this back I sound a bit like a crazy lady !... but its just genuine admiration, no one creates work that makes me feel the way his stuff does, how incredible you guys got an interview with him !! You don't sound crazy at all, you've articulated brilliantly what I and others probably can't express as eloquently. Go to the event and let us know how it is! I would love to hear him talk and was more than half tempted to fly to LA for this event this week but alas, i'm stuck in NYC. Thanks , yes I've just confirmed I'm going and they have given me a front row seat ! I may pass out with excitement. I knew a couple of friends who saw him LA and they said he was amazing. Cant wait, this feels like a once in a lifetime chance, so I'm just dropping everything to go. Congrats, good for you - be sure to let us know how it goes! Something that's lacking is the mention of gear information...and I'm GLAD!! Amazing work! Btw, the link to "Brief Encounters" is requiring a password...any other suggestions for viewing it? Once you see Brief Encounters, you'll know why gear isn't mentioned.....WAY too much to name. Brilliant documentary, I bought mine on iTunes a while back for $13 I think. Man I wish I could attend the Stand Out conference. Gregory is a master, been a huge fan for a while now. Love his cinematic influences. Great interview and article! A true director of photography. Amazing work indeed.